My dive instructor was great. He gives clear instructions. He emphasizes instructions that are important to remember. He also gives the right amount of stern-ness on safety. He does not hurry you up. He waits on your pace. With him, I feel safe underwater. I'm sure you will too. Here's my instructor in action. First, never hold your breath. Always breathe. Second, descend and ascend slowly. Move in slow motion so as to conserve energy and air. Third, don't think. Since it's your first time diving, your instinct is most likely wrong. So don't think. Just concentrate on your breathing. Fourth, always equalize pressure of your ears. Pinch your nose and blow then swallow. Do it often. It's free, afterall. Fifth, swim using the big muscle. My legs tend to cramp when I bend my knees and exert too much effort on my feet. My instructor warned to always use the big muscle. It's the upper part of your leg. My experience was great. I am ecstatic. Aside from learning hand signals, I learned techniques such as how to remove water inside your mask while under water, how to put your breathing aparatus back in your mouth incase it gets accidentally removed, and how to sink and float underwater using the buoyancy compensator. I also learned some extra skills such as dismantling and assembling the scuba gear. I also learned how to Safety Check my gears to know if I'm ready to scuba dive. I had two dives that day. We went 30 feet in the morning, and then as deep as 60 feet in the afternoon. The view underwater is fascinating. The colors are vivid and beautiful. The fishes are huge. There are several dangerous creatures too so I resorted to keep my hands to myself. I saw lion fishes, clown fishes, puffer fishes, barracuda among many. 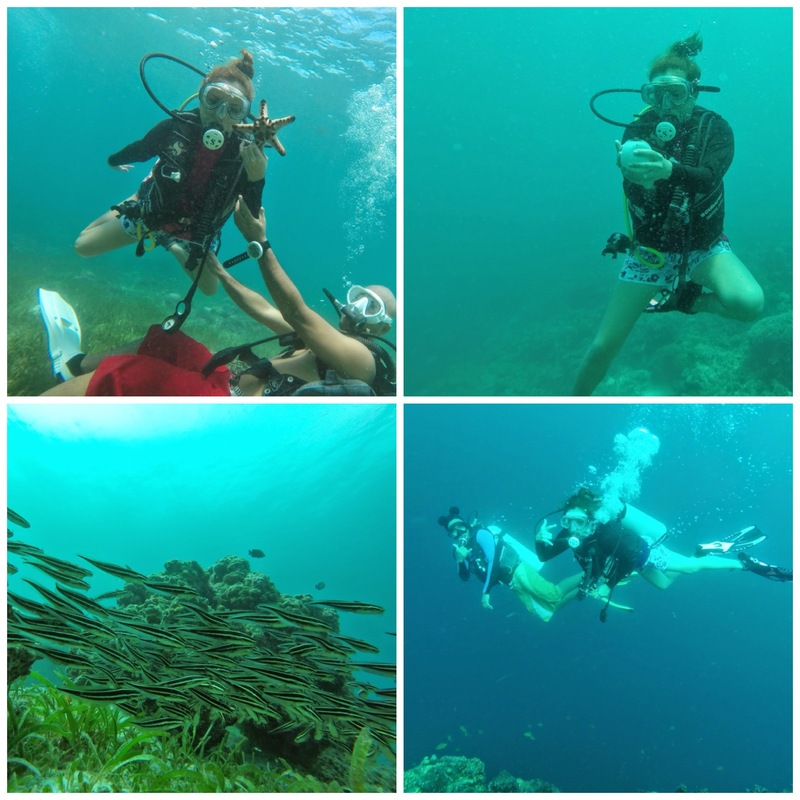 If you are interested to dive, leave a comment. I can refer you to my dive instructor, Francis Abelgas. For Discovery Dive FAQs, refer to my good friend Roger's post DSD FAQ Scuba Diving. Scuba diving is great. The danger is real but the reward is jaw-dropping. Isn't that what life is all about?